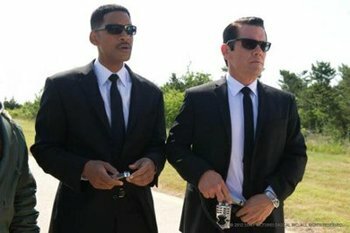 Will Smith: The Man in Black is Back! Kidzworld is chillin’ in Bev Hills again to talk to the cool cast of Men in Black 3. The coolest ever? 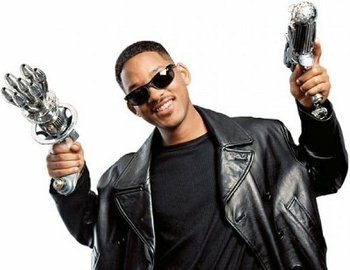 Will Smith who is returning to his role as “Agent J” after 10 long years. Was he concerned about how the film would look in 3-D? He just hoped his big ears wouldn’t look gigantic! You’ve probably seen the two previous MIB films on video if not in theaters but, just in case, agents J and K (Tommy Lee Jones) work for a secret government agency controlling aliens on earth. Turns out there are a ton of them, posing as humans.. some of them very famous. When they misbehave, it’s up to the Men (and women) in Black to rein them in. Will as "J" with Tommy Lee Jones as "K"
Will as "J" with Josh Brolin as the younger "K"
This time, after alien “Boris the Animal” goes back in time to 1969 and kills agent K., Will Smith’s agent J has to go back as well to stop the killing and prevent Boris’s species from ruling Earth. He meets the young Agent K (Josh Brolin) who is way less uptight than the older “K”, “J” is used to, and, together they re-discover their friendship while saving the planet. Will, dressed all GQ snappy as usual, walks into our interview munching something in a paper cup. He puts it down. Will: I wasn’t eatin’ nothin’. Not eating anything. Sorry. Kidzworld: No problem. Will, you know that there's a generation of kids who know you only as Willow and Jaden's dad, right? Will: (laughs) Yeah, I know. In Philly the kids were calling out to me like, “Mr. Willow”, “Mr. Willow!” And I was the Karate Kid's dad in about 40 different languages. Kidzworld: Did you think it was important to do something like this film that can be for a younger generation as well as the generation that saw the last two MIBs? Will: It was very important for me, having been away that long, to come back in a way that I was comfortable with and to come back with a project that was kid-friendly. What's great for me is that that target audience is in my house. So, I get the scene by scene, the screenplay by screenplay run by the judges (Jaden and Willow). Also, I haven't worked (as an actor) in three years. So, I wanted to put on some shoes that I knew fit. Kidzworld: What kind of advice about the disappointments of show biz do you give your kids? Will: First and foremost is that the idea of failure is a label, right? It has no bearing on what actually happened. What actually happened can turn out to be the best thing that ever happened to you if you decide that (it is). It’s very important to me that my kids understand the power that they have to create the lives that they want. Willow for example, (after her success “Whip My Hair”) we're getting flagged for letting her cut her hair. It’s obvious to me that you teach a girl to have control of her body. It’s up to her if she wants to cut her hair. Kidzworld: You are a very cool dad! Is Jaden competitive with you? Will: Jaden is extremely competitive. I tell him all the time, “Listen, son, I'm going to teach you everything I know and you're going to work hard and you'll be the second biggest movie star in the world.” (he laughs) He wants to make movies bad and he is so coming for me! We’re working together now on a movie called After Earth (dad and son explore an alien planet). It’s post-apocalyptic. He’s like “Now I want to make a comedy. Please let me make something funny”. 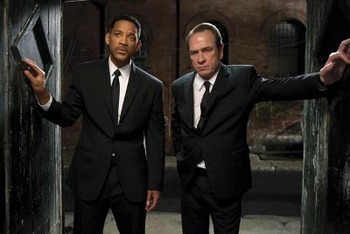 Kidzworld: Back to Men in Black 3, you have a certain relationship with Tommy Lee Jones in the movies. Josh Brolin plays him perfectly as a younger man. Was that just weird for you, acting with both of them playing different ages of the same character? Will: I was expecting to make an adjustment from (working with) Tommy Lee Jones to Josh Brolin, but Josh studied Tommy so thoroughly that it was almost identical. It was absolutely stunning. It's crazy because you don't even really notice how good Josh’s acting is because it's so good you're just watching Tommy Lee Jones. You don't realize, “No. That's Josh Brolin”. People thought that Tommy did the voice for the Josh Brolin character. That's how thoroughly Josh is delivering it. Kidzworld: Tommy Lee is kind of intimidating. Is he that way with you? Will: No. Tommy Lee Jones is hilarious. I think you see him in a place where he's least comfortable (doing interviews), you know but he's right there in all the jokes, right there playing around and everything. Kidzworld: There are so many cool, futuristic “rides” and gadgets in this movie. Which is your favorite? Will: It has to be the time dial. Somebody needs to come up with a time jump app. I've always loved time travel. I started, for this movie, to dive into it, talk about it and thinking about it. I realized that for Black people you don't really want to do too much jumping into the past. Right now is like the best it's ever been. I was like, “Yeah, maybe the time dial if I could go forward with it, not back.” That would be a great thing. Kidzworld: A lot of kids and teens know you also from the TV show “Fresh Prince of Bel-Air” because of the re-runs. Do fans still recognize you from that show? 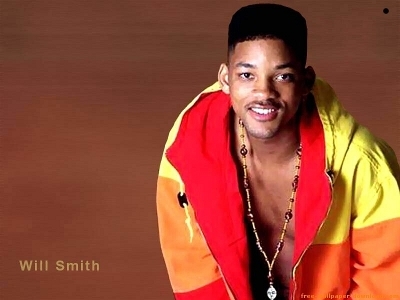 Will: You know what's crazy for me is that the “Fresh Prince of Bel-Air” is the biggest thing that I've ever done. When I go around, I'm the freshest prince everywhere around the world. It's just amazing how that television show was really a sort of a stroke of luck. Because of the amount (it is still on the air), a nine-year-old kid thinks that it's new. So, a nine year old kid in Moscow watching 'The Fresh Prince' thinks that it's brand new so “Fresh Prince” has been a huge gift for me in that sense. A teen Will as "Fresh Prince"
Kidzworld: Do Jaden and Willow give you grief when they see the old show? Will: Well, Jaden can't figure out how people thought that it was okay for me to wear the clothes that I was wearing. That's his thing. He's like, “Dude. That shouldn't be on TV”. Willow more gets it. With the kids in the house it's really great for me because they help me stay aware. They help me stay current and follow trends and things like that. Fans are consuming entertainment differently and if you miss on that, you turn into a dinosaur really quickly. Kidzworld: What do you know now about life that you didn't know at 18 when you were on that show? Will: Wow. That I control every interaction with every human being that I'm with. I can actually manage any situation with 98 percent of the people on Earth. There's some lunatics that you can't do nothing with them. But for the most part, you play a part in every aspect in your life going the way you want or not going the way that you want. Kidzworld: Cool! This movie looks great in 3-D. Had you ever worked with 3-D before and how was working with it? Will: This was my first 3-D movie and my first concern was my ears because I could see these things (he flaps one of his ears) pretty much taking over the whole of the screen. When I first saw it and it the ears looked okay, I was relieved. Okay, they don’t look like satellite dishes (laughter). But with special FX now you can see anything. Probably the last five or six years there's absolutely no limitation of what you can see onscreen anymore. I think (director) Barry (Sonnenfeld) found the balance of not throwing things at the audience. He went for depth which makes it more pleasing to the eye. Kidzworld: If you could back and change any of your movies, which one would you go back and alter? Will: Well, the thing that I've learned in my extensive study of time travel is that if you change one thing you change everything. So, I am absolutely ecstatic about where my life is right now and so I wouldn't mess with anything. Everything that I've experienced, everything that has gone right or wrong in my mind has turned out to be all right. My life as I sit here today is absolutely perfect. So, I'm not messing with nothing. What your favorite Will Smith movie of all time?